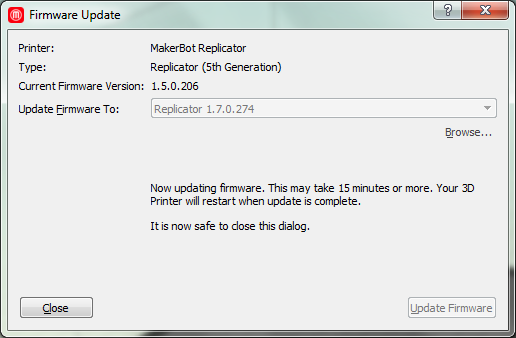 Applying a firmware update is very straightforward. 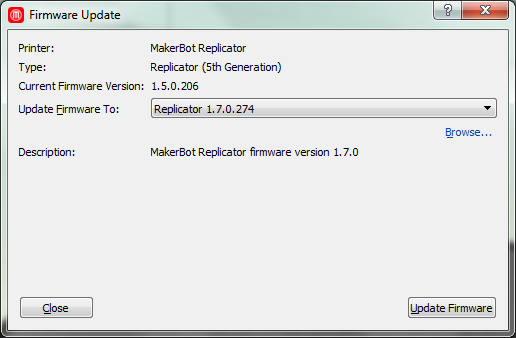 Download the latest MakerBot Desktop software, attach directly to the printer via USB, and click "Update Firmware" under Devices. Try printing one of the internally stored models, such as Mr. Jaws, to verify operations. We're on the national news!